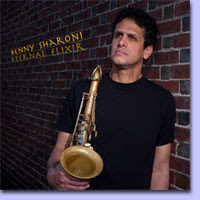 Eternal Elixir - Benny Sharoni (Papaya Records) - Although tenor saxophonist Sharoni moved to Boston, Massachusetts, in 1986 from his native Israel, this looks to be his debut CD as a leader. His saxophone and compositional styles are based in his love for Wayne Shorter, Sonny Rollins, and Art Blakey & The Jazz Messengers. With a strong group of sidemen, all of whom live and work in the Boston area, Sharoni gives his all and has created an enjoyable musical experience. Highlights include the barn-burner "Bernstein" that opens the CD. Prodded by pianist Joe Barbato (who plays on 6 of the10 tracks - Kyle Aho plays on the rest), bassist Todd Baker and drummer Steve Langone, Sharoni pays a musical tribute to the great composer and maestro with a track that would not be out of place on John Coltrane's "Live at The Village Vanguard." Guitarist Mike Mele delivers a slashing solo, with notes flying off the frets. "Sunny", a huge hit for the late Bobby Hebb in 1966, gets a bossa-nova feel and features a flashy solo from trumpeter Barry Ries, more fine piano from Barbato and melodic yet muscular playing from Sharoni. The saxophonist's love for vintage 60s' Blue Note can be heard on 2 tracks composed by Donald Byrd and 1 by Blue Mitchell. Byrd's "Pentecostal Feeling" is funky church music that has a lively "jump" feel while "French Spice" has a modal feel in the opening and a classic hard-bop theme played by trumpet and saxophone. "The Thing to Do" has more of the gospel" feel and several short but pithy solos. There's a calm version of "To Life" (from"Fiddler on the Roof") replete with muted trumpet and breathy tenor solo that sounds influenced by Ben Webster and Coleman Hawkins. The CD's closing track, Sharoni's "Senor Papaya" (dedicated to his father, who still grows the fruit on the kibbutz), has that intense feel and drive that the opening "Bernstein" possesses. Sharoni wails atop the propulsive rhythms offered by Langone and the punchy chords of pianist Aho. I had the opportunity to chat with Benny Sharoni several months ago and found him a person who loves jazz, life, and the world in general. He's got a great attitude, the kind of musician who exudes positive thoughts, especially on the bandstand. His CD is quite enjoyable yet this is the sort of music that probably sounds better in an intimate performance venue. For more information, go to www.bennysharoni.com. In other notes, I have now posted a promo track on my review of Owen Howard's impressive "Drum Lore" CD - you can see and hear it by clicking here. When I Was Long Ago - Rebecca Martin (Sunnyside) - Rebecca Martin is a vocalist who is not best served by singing with a large ensemble. Throughout her solo career, she has created CDs with small ensembles that frame her sweet and sometimes raspy voice with restrained acompaniment (the one time I saw Ms. Martin onstage, her partner was guitarist Ben Monder.) Therefore, one can tell lyrics are very important and, on her recordings, the voice is quite present. Her 2nd effort for Sunnyside features saxophonist Bill McHenry (tenor, alto, and soprano) and her husband Larry Grenadier (bass). Judging by the promotional video, the trio stood in a circle inside the Clubhouse studio in Rhinebeck, NY, with no sound baffles, interacting with care and a quiet demeanor. With the exception of a short track on which Ms. Martin attempts to coax her song Charlie to sing, the tunes are all standards. Ms. Martin supplies the lyrics to the Ellington/ Strayhorn composition "Low Key Lightly" from the soundtracks of "Anatomy of a Murder", making it into "Lucky In Love." She rides atop the supple walking bass line while McHenry trills and plays long notes in the background. There are many really lovely tracks, including the opening "For All We Know" - it commences with McHenry and Grenadier creating a musical prologue before the vocalist takes up the short first verse. Her vocal is devoid of effects, right in the listener's ear as if she was singing just for one. McHenry's tenor work in the background is quiet, spare and ruminative. They do not rush, caressing the words and the handsome melody. Rebecca Martin makes music that is personal and draws the listener in. After the music fades, one is left wanting to once more dive into such refreshing air. For more information, go to www.rebeccamartin.com. 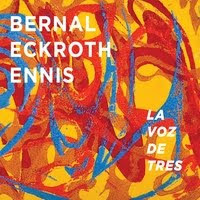 La Voz De Tres - Bernal/Eckroth/Ennis (Jola Sete Productions) - When reviewing Tessa Souter's "Obsession", I was quite taken by the guitar work of Jason Ennis. Throughout the varied program, his work was surprising, lyrical yet rhythmic, strong but not overpowering. For this project, he's working with the fine young vocalist Natalia Bernal, who's just as comfortable (and impressive) singing Peruvian folk songs as she is interpreting Antonio Carlos Jobim. Also onboard is pianist Mike Eckroth, an accomplished player with roots in Latin music. For the trio's debut recording, they perform Brazilian standards from Jobim and Baden Powell, an Andean folk tune, a work from Cuban composer Julio Gutirrez, the jazz standard "Tenderly", and 4 Bernal originals. The musicianship is impeccable and Ms. Bernal's voice is a revelation. She possesses a pleasing contralto voice, her pronunciation is faultless and the lyrics are always clear. You may not understand the words (because of the language) but you can't miss the emotion. Among the many highlights is the exciting take on the Powell/Vinicius de Moraes classic "Berimbau." The rhythmic interaction of the acoustic guitar (Ennis plays only 7-string guitar on this CD) and piano has the right amount of tension and the spare but intelligent overdubbed vocals makes the tune stand out. Bernal's "Cuentane Tu Pena" also displays a rhythmic tension behind a mature melody line that also for impressive dynamic shifts. Jobim's "Fotografia" finds Eckroth switching to electric piano, giving the sweet tune a "pop" feel - Ennis's acoustic guitar solo is short yet rich with harmonic possibilities. When the voice rises up behind the electric piano solo, it's such a pretty touch and shows that the trio has worked on making their presentation special. 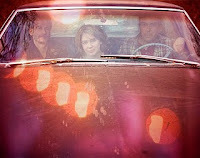 "La Voz De Tres" ("The Voice of Three") is music that takes time to reel the listener in but, unless you're a cold fish, you can hear that the trio that has crafted this special recording love what they are doing - the joy is palpable. For more information, go to www.bernaleckrothennis.com. 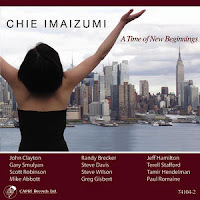 A Time of New Beginnings - Chie Imaizumi (Capri Records) - This CD, young Ms. Imaizumi's second as a composer/arranger/leader, must have seemed to her like a dream come true. The 10-piece ensemble chosen to interpret this music is composed of many of the finest musicians on the creative music scene, from the reed section of Steve Wilson, Scott Robinson and Gary Smulyan to the brass of trumpeters Greg Gisbert and Terell Stafford (Randy Brecker appears on 1 track) as well as trombonist Steve Davis. The rhythm section is anchored by bassist John Clayton and drummer Jeff Hamilton (Paul Romaine appears on 3 tracks.) Rounding out the sound is pianist Tamir Hendelman and guitarist Mike Abbott. One can hear the influences of the Thad Jones and Maria Schneider on the melodies, harmonies and rhythm treatments on many of the cuts. Then, there is "Fun & Stupid Song", with its Caribbean feel in the drums (both Hamilton and Romaine play on this track and raise quite a racket near the end) and exciting solo from the great Scott Robinson (on sopranino first then switching to tenor.) Steve Wilson shines on soprano sax as he plays the melody lines on "My Heartfelt Gratitude", a pretty tune with a sprightly rhythm track. Clayton, an expressive bassist in the style of the late Ray Brown and Rufus Reid, is a featured soloist on several of the tracks, including excellent arco work on "Fear of the Unknown" and the title track. The former is a sorrowful ballad is primarily played by bass, piano and drums (the reeds and horns come near the end after a fine piano solo) while the latter jumps out with a fiery Latin rhythm and rich melody line. "Sharing the Freedom", a commission from the US Air Force Academy Falconaires (and performed at the 2008 Monterey Jazz Festival) is both a stirring anthem and a funky workout with a rousing alto sax solo from Wilson. There's more good music on the high-energy, "poppy", "Run For Your Life" with "hot" drumming and blazing trumpet work and the sweet ballad "Many Happy Days Ahead" featuring fine work from Wilson (flute), Smulyan, Abbott, Hendelman and Davis. Chie Imaizumi has crafted an impressive program, rich with melodies, harmonic variations, fine ensemble work and compelling solos. There are many moments where her music transcends her influences and one can hear a major new voice in the making. One hopes there are "many happy days ahead" for this composer and we listeners. For more information, go to www.thousandpictures.org. Here's the opening track "My Heartfelt Gratitude" courtesy of Capri Records and IODA Promonet. 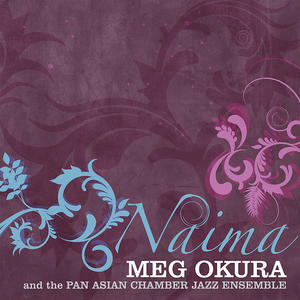 Naima - Meg Okura and the Pan Asian Jazz Ensemble (self-released) - Ms. Okura, a native of Tokyo, Japan, began her musical career as a classical violinist and coming to the United States to become a member of The New York String Orchestra at Lincoln Center. She went on to study at the Juilliard School and turned attention to jazz and improvisation after graduation. She's gone on to play with such notables as David Bowie, Mary J. Blige, Michael Brecker, Philip Glass, Lee Konitz, Steve Swallow, Kanye West and others. This CD, her 2nd as a leader, is ripe with invention, lively playing and imaginative arrangements. Her ensemble, with such fine players as Anne Drummond (flute), Mamiko Kitaura (piano), Jennifer Vincent (bass), Willard Dyson (drums), Jun Kubo (shinobue - a Japanese flute, flute), Rubin Khodelli (cello) and Satoshi Takeishi (percussion), does a great job taking this music off the page and making it come alive. The program opens with the title track, a sweet rendition of John Coltrane's tone poem to his first wife. The flutes and piano whirl around the violinist as she lovingly plays the melody. Okura's sweet solo opens with a direct quote from "Autumn in New York" and grows from there. Throughout the CD, the work of pianist Kitaura is impressive, from her solid support work on "Hannah's Vocalese" to the 2-handed "montuno" work on "Caprice" to her driving yet abstract fills on "Afrasia." When she locks in with the rhythm section on the last track mentioned, the music lifts off. Dyson does yeoman's work throughout, not only directing the rhythms but also adding his fiery touch and/or soft colorings when called for. Drummond, whose tone is so lovely, continues to impress both as a "team player" and soloist. Her funky turn on "Afrasia" brings to mind Herbie Mann while one may hear Hubert Laws on other tracks. The focal point of the program is "The Lu Chai Suite", a 4-part work that goes in many directions through the course of 25 minutes. There's traditional Japanese folk melodies, hard-edged funk, Asian-inflected chamber music and a prayer (Part 4) that combines the Western influence of Aaron Copland with Japanese scales. There's an American folk melody on the opening section. Titled "Empty Mountain", the piece intersperses Western and Eastern influences, with Okuta playing the melody on erhu (Chinese violin) and Takeshi providing sonic wonders on percussion. Kubo's plaintive shinobue sounds lead in Part 2, "Echo of Voices", that soon opens up with a decidely Western backbeat and one high-powered piano solo. "Sunlight", the 3rd section is meant by the composer to sound Chinese and does so without sounding forced or treacly. The words "Chamber Jazz" may scare some listeners away but this music sounds neither stuffy nor stifling. The fluidity of the rhythm section, the blending of flute, cello, and violin with the shinobue and erhu and the excellence of the compositions as well as the arrangements all adds up to a splendid listening experience. The more you listen, the more you hear - that is the hallmark of great music. For more information, go to www.megokura.com or www.panasianchamberjazzensemble.com. Katrina Ballads - Ted Hearne (New Amsterdam Records) - This week, New Orleans, Biloxi and other communities in the Gulf Coast area commemorate the 5th Anniversary of Hurricane Katrina. To this day, the towns and cities have been slow to recover and, when you add to that the horrific oil spill of 2010, some wonder if it will be decades and not just several more years before an sense of normalcy descends upon the region. 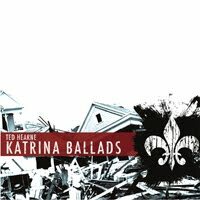 2 years ago this week, New Amsterdam Records issued a digital-only recording of composer/vocalist Ted Hearne's "Katrina Ballads." (my Hartford Courant review is here.) On August 31 of this year, the label releases the CD. With texts taken from television and radio interviews as well as newspaper articles, the piece served as a powerful reminder of how bad the government, local, regional and national, reacted to the catastrophe. The music combines elements of modern classical music, jazz, rock music, and opera (but no "rhythm and blues") and is a punch to the stomach of those who care for their fellow man. Setting to music President Bush's compliment to Michael Brown of FEMA "Brownie You're Doin' A Heck of a Job" is both humorous and a caustic reminder of the ineptitude that characterized the Federal Government's original reactions to the hurricane. There is a stunning orchestration of the Anderson Cooper interview with Louisiana Senator Mary Landrieu; it highlights the reporter's on-the-ground visions with the politician's tiptoeing around the subject of why facilities have not been set up to deal with the dead and the dying, never mind those who are healthy yet without food, water or power. The music surrounding Cooper (whose work was stellar during the tragic days and weeks following the storm) is dark, angular and foreboding while, for Senator Landrieu, the music is sweet and harmonically rich. The "Barbara Bush" piece blends the New Orleans musical influences of Louis Moreau Gottschalk and the classical side of Randy Newman with the former First Lady's insensitive comments. The score, orchestrated for 11 musicians and 5 vocalists, never overpowers the words, instead placing them upfront, continually in the face of the listener. The 2 instrumental "Interludes" are short yet also contain the anger, frustration and sadness that the other pieces convey. Because the images we saw during the days of late August and September 2005 are still in our minds (thanks to the work of many documentarians, including Spike Lee and, more recently, Tavis Smiley), the "Katrina Ballads" rings loud and so true. For more information on this superb work, go to www.katrinaballads.com or www.newamsterdamrecords.com. Ted Hearne, 28 years old, graduated from the Manhattan School of Music and Yale School of Music, where he studied composition with Julia Wolfe, Nils Viegland, Aaron Jay Kernis, Martin Bresnick, and David Lang. He's worked with numerous orchestras and chamber ensembles and is the Artistic Director of "Yes is a World", a nonprofit organization working to promote peace and social change through musical diversity and the collaboration of young artists. As most jazz lovers know, Abbey Lincoln passed away this past weekend at the age of 80. Lincoln, who first came to public notice as an actress and lounge singer, changed her look and musical style in the late 50s and early 60s when she met and married drummer/composer Max Roach. Their collaboration with songwriter Oscar Brown Jr. gave borth to "We Insist! The Freedom Now Suite", an Lp released in1960 that became a musical landmark in the Civil Rights movement. Also on the recording was the great tenor saxophonist Coleman Hawkins, African percussionist Olatunji and the great young trumpeter Booker Little. 50 years later, the music can still raise goosebumps. After her divorce from Roach in 1969, she moved to California and was less active in the music business. In 1989, she signed with Verve Records and released 11 CDs, the last being "Abbey Sings Abbey" in 2007. She certainly displayed a singular style and, to my ears, was more of a storyteller, a griot, than a vocalist. Abbey Lincoln made you listen to what she had to say and did not fit easily into any one category. And, on top of that, she wrote many powerful songs. Check out Doug Ramsey's column on Ms. Lincoln at his "Rifftides" blog (click here) - his short tribute features 2 videos and a link to Nate Chinen's obit in The New York Times. 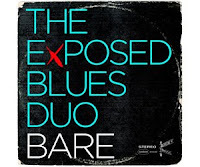 Listening to "Bare", the new CD by The Exposed Blues Duo (Greene Avenue Music), one can hear the influence of Ms. Lincoln on the vocalist Fay Victor. She does not actually sound like her or phrase her lyrics in the same fashion, but Ms. Victor is just as fearless. Granted, she and guitarist Anders Nilsson (also a member of her 4-piece Ensemble) perform Ms. Lincoln's lyrics to Thelonious Monk's "Blue Monk" but their version is closer to Skip James. Born in the Mississippi Delta, James (1902 - 69) was notorious for his elastic rhythm, especially in his later years after he had been rediscovered. Victor and Nilsson really make this music their own, bending pieces such as "Mood Indigo" into new and creative shapes. The Ellington/ Bigard tune is slowed down, with slithery slide guitar riffs and plaintive vocal. For the first 115 seconds of Rev. Gary Davis's "If I Had My Way", the unaccompanied Ms. Victor stretches out the first line of the song and continues to do after Nilsson joins her. It's hypnotic, eerie and forceful. "If You Don't Give Me Just What I Want" is much lighter, the Duo struts their stuff and there's some fine scatting from Ms. Vincent. The influence of James "Blood" Ulmer is noticeable during the first half of "Joshua Fit The Battle Of Jericho", with Ms. Victor's percussive singing and Nilsson hard-edged and mesmerizing guitar work. The choice of material reflects a world view, from Miriam Makeba's "Umhome" (nice use of vocal overdubs) to Bjork's "Cover Me" (splendid arrangement by Abene for the big band and strings) to Jobim's "A Felicade" (sung in Portuguese over swing then samba rhythms.) Betty Carter's "Tight" has the vocalist showing the influence of Carter's unique vocal style while the band swings like mad. There is not a weak track on "Sing!" Claassen's voice is strong, her phrasing, at times like a rich alto saxophone and the arrangements uniformly excellent - one gets the feeling Ms. Claassen sang as the band played and not to already recorded tracks. And, Abene's intelligent integration of the strings into the music shows great thought. 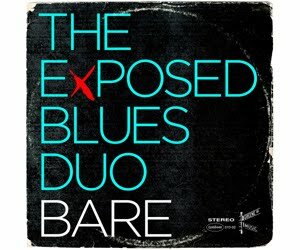 Don't pass on this recordings, it's one of the best of the year. 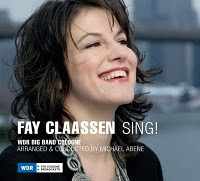 For more information, go to www.challengerecords.com or www.fayclaassen.nl. "Voice" by TAEKO, issued on Flat Nine Records, is a more "conventional" recording. The Japanese native opens the CD, her 2nd, with an inspired rendition of Herbie Hancock's "Canteloupe Island" and a reggae-soaked take of Monk's "I Mean You." Drummer Doug Richardson sets the pace throughout, coloring Marvin Gaye's "Inner City Blues" with subtle high-hat work and solid propulsion while giving Wayne Shorter's "Infant Eyes" (lyrics by Doug Carn) the correct amount of power, never overshadowing the vocalist, Greg Lewis's sweet organ and the soft electric guitar work of Kevin McNeal. But, it's TAEKO's show from the opening moment and she displays a supple, dusky (at times) voice, good control of dynamics and a fine understanding of the lyrics. Her choice of material is certainly eclectic, with Sly & The Family Stone's "Stand" next to Stanley Turrentine's "Sugar" and Duke Ellington's "I Didn't Know About You." Not "supper club" material but a set of songs for the modern "jazz club" and, because she has such an expressive voice, also a lot of fun. To find out more, go to www.songbirdtaeko.com. 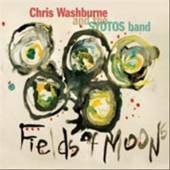 Fields of Moons - Chris Washburne and the SYOTOS Band (Jazzheads) - Chris Washburne's previous CD was recorded in the midst of the second George Bush Presidency, a dark time of war and retribution and his music, released on "Land of Nod", reflected the artist's sadness about the state of the world. While one would be hard-pressed to say that the world is a more peaceful place at the moment, this new CD is filled with tuneful ballads and love songs. The program, a sweet mix of originals by Washburne and several band members alongside 4 fine covers, ranges from suave Latin tunes (such as Pedro Flores' "Obsesiøn" and the standard "Poinciana") to a danceable take of Benny Carter's "When Lights Are Low" to a hopeful and somewhat raucous version of "Do You Know What It Means To Miss New Orleans" (fine tuba work from the leader.) The originals stand up well, especially saxophonist Ole Mathisen's handsome "Non Spoken" (with its melody split among the saxophone and brass) and pianist Barry Olsen's lovely "Long Time Coming" (strong solos from the composer, leader and Mathisen.) The rhythm section of electric bassist Leo Traversa, drummer Diego Lopez and percussionist Cristian Rivera keep the the music percolating, even on the slower tunes. The title track, composed by Washburne, includes a lovely melody line and an intelligent arrangement that weaves the brass and reed around each other in mesmerizing fashion. Mathisen's soprano sax solo is exciting, especially atop the active work of Lopez, but never pushes too far. "Fields of Moons" is a perfect panacea for those listeners beaten down by bad news or frustrated with current events. Soothing, sensuous, heartfelt and rich in melodies and harmonies, this music will transport the listener out of any sort of doldrums. For more information, go to www.chriswashburne.com. Delicious and Delightful - Steve Turre (HighNote) - Trombonist and master of the conch shells, Steve Turre seems to be incapable of making dull music. With a top-notch band including veterans Billy Harper (tenor saxophone), Larry Willis (piano), Dion Parsons (drums) and relative newcomer Corcoran Holt (bass) plus guests Russell Malone (guitar on 2 tracks) and Pedro Martinez (African percussion on the hypnotic "Dance of the Gazelles"), Turre blends Latin, Boogaloo, blues and straight-ahead jazz into a compelling and satisfying program. The music blasts off from the opening notes of "Light Within", Parsons' pounding drums beneath the leader's soulful conch work leads to a soulful melody. Harper, who composed the tune, takes the first solo and just about tears the speakers open with his initial phrases. He's much more subdued on his other contribution, "Speak to Me of Love, Speak to Me of Truth", allowing space for beautiful solo statements from Willis and Turre (and no tenor solo.) The title track features guitarist Malone on a tune related to Lee Morgan's "Sidewinder" in spirit and feel. The solos are short and spirited, leaving one wishing the song was half again as long. Turre's "Blackfoot" is a romp, with fiery solos from Parsons and Harper as well as a strong "trading eights" section that closes the piece. Malone returns on "Ray's Collard Greens", a tune Turre wrote for and performed with Ray Charles. Everybody "gets down and dirty", especially the leader on his conch shells (it still is amazing how much music Turre can create with those shells.) Willis takes several fine solos and provides strong accompaniment throughout, his chordal work and sympathetic lines behind the soloists is always engaging. This CD has just the right monicker, it is most certainly both "Delicious and Delightful." If it has one shortcoming, some of the tracks could be a bit longer so that the soloists could stretch out a bit more. That said, the music has passion and light, making it worth your while to check out. For more information, go to www.steveturre.com. Big City Circus - Joel Yennior Trio (Brass Wheel Music) - For his first CD as a leader, trombonist Yennior, who's been a mainstay in The Either/ Orchestra since the late 1990s, decided to step out front with a fascinating sonic line-up. Guitarist Eric Hofbauer (leader of the InfraRed Band and co-owner of the Creative Nation Music label) and drummer Gary Fieldman (principal percussionist with the Massachusetts Symphony Orchestra and leader of his own quartet) are Yennior's co-conspirators and the results go in myriad directions. The opening track, "Dancing Dave", has a boppish feel, with light guitar chords and "swinging" drums. Moving on to "A House in Not a Home", one hears the trombonist caress the sweet Burt Bacharach melody while the guitarist offers bluesy chords and Fieldman swirls around the drum kit with deft brush work. One of Thelonious Monk's lesser-known works, "Gallop's Gallop", gives the trio another opportunity to "swing" and play off each other. It's not all "fun-and-games" - a stint on jury duty for a murder case led Yennior to create "Justice Lost: A Suite in Three Parts." Moved by the responsibility to find justice for the victim's family, the trombonist creates a work based in the blues and filled with fire, anger and emotion. Part 1, "Blood on the Street" has a harrowing feel, a flexible and shifting percussion beneath the declarative trombone and rumbling guitar. There's growling gutbucket trombone on part 2, "Blues For Justice Lost", built off a 6-note guitar riff. A martial beat underpins the melody on Part 3, the track that bears the name of the CD. The melody and execution may remind some of Kurt Weill's style, especially on his writing for "The Three-Penny Orchestra." The CD ends on a joyous note, with a sweet romp through "Estrellita", a tune from the early 20th Century by Mexican composer Manuel Ponce. Fieldman's snappy brush works well beneath the bouncy melody line, Hofbauer's catchy solo and as a spotlight for the drummer. 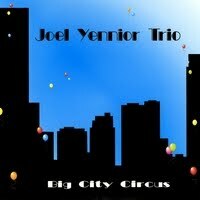 Joel Yennior has produced a fine debut CD, with an intelligent blend of serious and swinging music. The music is not very loud nor does it feel empty - the interplay of the 3 musicians and the fine melodies holds one attention throughout. For more information, go to wwwbrasswheelmusic.com. Live!! at the Berklee Performance Center - Phil Wilson & Makoto Ozone (Capri Records) - This fun CD is a reissue of a 1983 Lp recorded in November of 1982 in Boston, Massachusetts. Veteran trombonist and educator Wilson got together with then 21-year old piano phenom Ozone and just let it fly from the opening note. The pianist's stylings range from Art Tatum to Bill Evans with a bit of Oscar Peterson thrown in and is the perfect complement to the highly swinging trombonist. Even today, most people would hear "Stella By Starlight" and "Here's That Rainy Day" as straight ballads but, here, both men kick it up several notches. In the middle of "Stella...", Ozone's left hand falls into a heavy stride groove and Wilson follows suit. It takes them a few minutes to push the tempo on "...Rainy Day" and this time it's Wilson who prompts the pianist. "Gravy Waltz", from the team of Steve Allen and Ray Brown, hearkens back to "Fats" Waller with Ozone displaying that flashy left hand and some impressive 2-hand work. Wilson contributes the ballad "These Are The Days" and the duo give the fine melody a loving treatment. "Blues My Naughty Sweetie Gave to Me" is a tune from 1919 - one can tell its pedigree from rolling piano lines and the spunky, hummable, melody. Both men take fine solos. Wilson goes unaccompanied and his blowsy, strutting, phrases set the pace for Ozone's frolic. They have as much fun on the final track, "Giant Steps", playing the tune very fast, with a 2-way conversation in the middle that is as playful as it is musical. If you missed this recording first time around, Capri Records gives you the opportunity to atone. Even though the concert took place almost 3 decades ago, the duo's interactions and sense of experimentation sounds quite modern. That's the spirit of jazz. For more information, go to www.caprirecords.com. 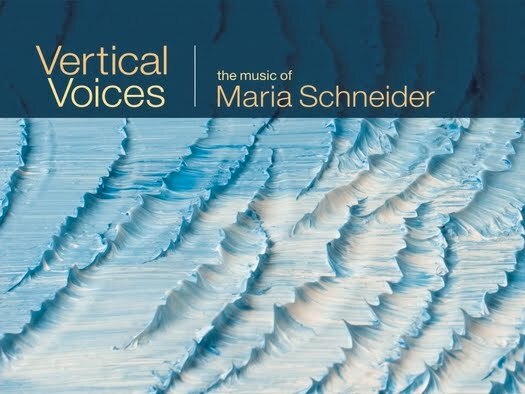 Vertical Voices: The Music of Maria Schneider - Dollison and Marsh (ArtistShare) - What a great idea! Adding voices to to the music of Maria Schneider. The composer has employed Luciana Souza on her last 2 CDs but Julia Dollison and Kerry Marsh decided to tackle this project from a different angle. Use Ms. Schneider's superb rhythm section (pianist Frank Kimbrough, guitarist Ben Monder, bassist Jay Anderson and percussionist Clarence Penn) and replace the saxophones, clarinets, flutes, trumpets and trombones with their voices. Utilizing multi-tracking and wordless vocals, the duo "becomes" the orchestra and the results are stunning and quite successful. 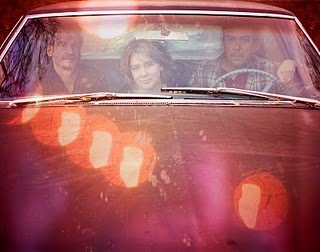 The opening of "Journey Home", led in by Kimbrough's richly melodic piano, is a vocal tour-de-force, with Dollison's higher voice soaring over the deeper tones of Marsh. Then he rises out of the rhythm section, displaying a wide range and dancing atop Penn's fine drums. All of a sudden, it's a dozen Marshes behind the solo voice, high and low - Dollison soon returns, the piece rises in intensity until the voices drop out and Monder takes a long solo of rippling notes that ultimately begin to bring up the heat while the vocalists dance back in. Listen to the power of Clarence Penn near the close of "The 'Pretty' Road" as he stokes the fires while the vocalists expand upon the song's theme. Like his musical compatriots, he never overplays yet does not hold back when the piece calls for him to provide propulsion. "Sky Blue", one of the prettiest ballads ever composed, is treated with both respect and creativity. On the original version, Steve Wilson's soprano saxophone solo literally took my breath away. Here, the vocal choir beneath Dollison's reading of the main theme may remind some of the ethereal vocals of The Beach Boys or their influence, the Four Freshmen, with Marsh's low notes equating to the trombones that the composer uses to bolster the song. Dollison's solo ranges far and wide, sometimes angelic, bird-like at times, chattering, keening, swooping, reaching for the sky. Like Wilson's long and heartbreaking solo, this is simply divine. "Hang Gliding", with Anderson's solid underpinning and Kimbrough's Brazilian-tinged piano, gives the singers a forum to "let go" - they weave in and around each other, trading lines like 2 saxophonists at a jam session. The sweet shuffling rhythms of "Dança Ilusoria"allows the leaders to layer their voices, creating a rich forest of sound. Anderson's expressive bass lines, Penn's stealthy brush work and Kimbrough's sprightly solo, all the while the voices adding textural commentary. After the piano solo, Marsh scats with glee and abandon while Monder drops little riffs that one might miss if not paying close attention, and it's a moment before one realizes Dollison's voices are back in the mix. As I wrote at the top, a great idea - Julia Dollison & Kerry Marsh (now wife and husband) spent many hours (some under the watchful eye of the composer) giving this great music a fresh and enjoyable re-working. For more information, go to www.juliadollison.com/ or www.kerrymarsh.net/. 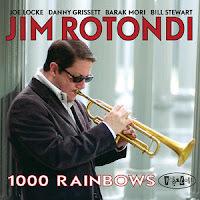 1000 Rainbows - Jim Rotondi (Posi-tone Records) - Jim Rotondi is a trumpeter out of the Freddie Hubbard/ WoodyShaw school with roots in Clifford Brown (his sweet articulated notes remind this listener of Brownie.) On record, he rarely ventures into unknown territory and that's just fine because his music never sounds stale. Surrounded by veterans like Joe Locke (vibraphone) and Bill Stewart (drums) and younger players Danny Grissett (piano) and Barak Mori (bass), this program is well-played and plenty of fun for the listener. It may take one a minute or so before you realize the band is hitting on Lennon & McCartney's "We Can Work It Out" but it's a smart reworking. Locke glides over the dancing drum work and fine chordal interjections from Grissett before Rotondi jumps in with an assertive solo. The title track is from the pen of Buddy Montgomery, the bassist brother of guitarist Wes and is a medium-tempo confection with a bluesy bass line and a hint of parade drums from Stewart. Rotondi stays in the horn's mid-range for most of his long solo, really working through the changes. Locke takes over and builds his groove off of the drum patterns. Mori is rock-solid beneath the band, really filling out the sound. The trumpeter swings his socks off on the opening chorus of his original "Gravitude", moving aside for a short vibes solo and then flying over the changes with an energetic and often fiery solo. "Born to Be Blue" sounds like the kind of music one makes on a rainy day, an smoothly played ballad with sweet solos from the leader and Grissett (Locke sits out this track.) Rotondi uses a mute for the high-stepping "49th Street", a Bill Mobley composition replete with a dominant bass line (and strong solo), sharp, classy, brushes work and a quick knockout solo from Grissett. One of the highlights is the vibes/trumpet duo that closes the program. "Not Like This" is a heart-felt ballad that British-born arranger Jeremy Lubbock wrote for Al Jarreau. Here, Locke plays the introduction unaccompanied, his notes swirling and reverberating - Rotondi enters and delivers the melody without needless embellishments. The piece is a perfect capper to this most musical experience. Jim Rotondi has a winner on his hands with "1000 Rainbows" - he and his cohorts may not be "breaking new ground" but this swinging session satisfies the soul. For more information, go to www.posi-tone.com. Howard's choices are inspired, from Jack DeJohnette's swinging dance/rubato ballad/bouncing bass line/drum feature "Zoot Suite" to the West Coast-swing take on "Stompin'.." It's a treat to hear the band's take on Ed Blackwell's "Togo" - Ferber leads the band in with an unaccompanied trombone rumination then Howard's lays down a West African beat that thunders yet has a definite melodic feel. There's shimmering cymbal work on Paul Motian's contemplative "It Should've Happened a Long Time Ago" which also features the melody line carried by the bass clarinet and alto sax while Carlberg dances beneath the horns. 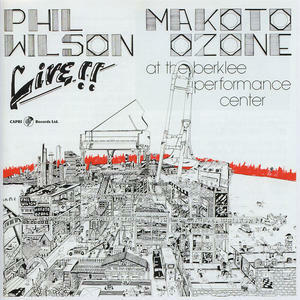 "Bulgaria", a Peter Erskine composition that the drummer recorded with John Taylor and Pale Danielson, features a floating rhythm section and evocative soprano saxophone work from Middleton. It's just Ferber, Kolker and Howard on the irresistible "Flip", adapted from Manne's classic "The Three" and "The Two" Lp from 1954. Reminiscent of Jimmy Guiffre's work with Bob Brookmeyer, the sprightly melodic line is supported by the drummer's snappy brush work. Howard's "Roundabout" has a driving beat, a well-drawn melody shared by the pianom trombone, soprano and alto saxophones, and several fiery solos. The bass and drum is exemplary, with Weidenmuller really pushing forward and the leader moving dynamically in and around the soloists. "Drum Lore" can't help but make the curious listener smile, not only because Owen Howard as honored his fellow drummers but also because the music is rife with melodies, so well-played and involving. Find it and dive right in - the rewards are endless. For more information, go to www.owenhoward.net. 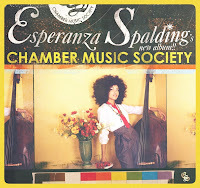 I am not trying to sound like a shill for NPR (yesterday, I wrote about the "First Listen" session featuring the new CD by Esperanza Spalding) but I must commend them for the work they did this past weekend at the Newport Jazz Festival (by the way, who decided to schedule the Litchfield Jazz Festival the same weekend as Newport?) Should you so chose, you can go to npr.org/newportjazz and listen to 16 different sets from the likes of the Maria Schneider Orchestra (pictured above, courtesy of Eric Jacobs/NPR) to Gretchen Parlato to the J. D. Allen Trio to Darcy James Argue's Secret Society to Fly to Ken Vandermark's Powerhouse Sound. Many of the sets are available as downloads. Do take advantage of the organization's largesse. Granted, the sound quality is not super but the music transcends the128kbs. From Brooklyn With Love: Live at Freddy's - Orlando Le Fleming (19/8 Records) - British-born Le Fleming originally wanted to play cricket (and did) but has been a first-call bassist on both sides of the Atlantic for the past decade. He's worked and recorded with Jason Rebello, Don Braden, Seamus Blake, Jane Monheit, Billy Cobham, Will Vinson and Lage Lund. The last two musicians (alto saxophone and electric guitar respectively) are on this live date along with drummer Antonio Sanchez. The bassist wrote all 6 tracks and, while there are plenty of long solos, each track has a well-defined melody, choruses and pleasing interplay. That's good, because with 3 cuts over 12 minutes, the quartet is asking a lot from the listener at home. In person, it's easier to relate to what the musicians are creating. Another good aspect of the disk is that each player has a well-defined personality. Sanchez really pushes the band yet he can lay back and allow pieces, such as the title track, to grow in intensity without rushing to an early climax and having nowhere to go. The blend of Lund's softer electric tone with Vinson's probing and often limpid approach to the alto sax makes them a formidable front line. The quartet works together well throughout but especially on "Rummaging For Significance" where the active and propulsive bass lines, the poly-rhythmic drive of the drummer and the interwoven melody lines truly gel. They do catch fire on the opening track, "False Dilemma" yet there is clever use of dynamic variation to keep the 12-minute track engaging from beginning to end. "Enchantress" opens with a long, unaccompanied, guitar solo displaying Lund's affinity for Jim Hall and the way that veteran guitarist caresses a melody. After that, Vinson gets to present another handsome theme and the ballad moves gently along. 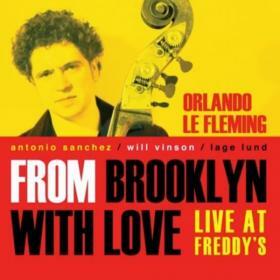 Recorded by master photographer Jimmy Katz, this debut from Orlando Le Fleming has much to offer the serious listener. Despite initial fears, this is no "blowing" date but fine music played with fire and grace. For more information, go to www.orlandolefleming.com or www.nineteeneight.com. To acess this fine new CD, go to www.npr.org/templates/story/story.php?storyId=129003770 and follow the cues. It's a treat! This blog has been quiet lately for many different reasons but not for lack of material. There's a review of 7 CDs with trombonists as leaders that is just waiting for a rainy morning and 4 strong new releases from Accurate Records that deserves both my attention and yours. In the meantime, it's the one-step-at-a-time approach. 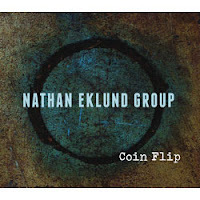 Coin Flip - Nathan Eklund Group (OA2 Records) - A native of Washington state who's been in New York City since 1998, trumpeter/composer Nathan Eklund has been steadily inching his way into the ears of jazz fans. He leads 2 different quintets and has worked and recorded with Spyrogyra, Richie Cole, Chuck Loeb and others. He's performed with Joe Lovano, Claudio Roditi, Eddie Daniels as well as subbing in Broadway "pit" bands. The music is rarely rushed, the soloists take their time to develop their statements, and the songs have real melodies and not just riffs that lead directly to solos. The use of Fender Rhodes might make one expect a "fusion" sound but this music is solidly post-bop and mainstream. Myerson's solos have, on the uptempo tracks, great forward motion - his introduction to "Happy Sadness" is soft, subtle and quite rich. The rhythm section work is solid and fluid, with deep bass lines and propulsive drumming. Best of all, they don't "overplay" or overwhelm the music. "Coin Flip" is attractive music, featuring a group that really plays together and the results are joyously musical. For more information, go to www.nathaneklund.com or www.oa2records.com.